The number one seed in the Eastern Conference are a loss away from being eliminated by the eight seed Philadelphia 76ers. The Bulls lost their third straight game of the series since they lost their superstar Derrick Rose to a torn ACL. 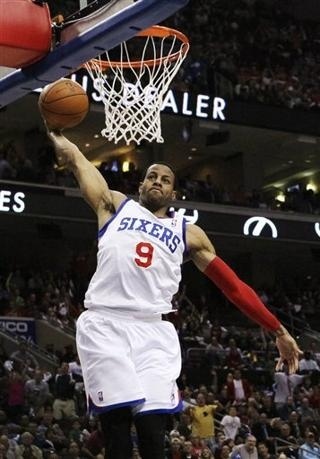 Spencer Hawes’ 22 points and Jrue Holiday’s 20 points led Philly to a 89-82 game 4 victory. The 76ers will look to close things out in game 5 as the series heads back to the Windy City. 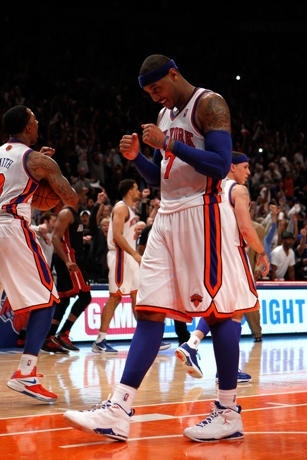 The New York Knicks lived to fight another day as they squeaked by the Miami Heat 89-87 in game 5 at the Garden. The Knicks rode the back of Carmelo Anthony who dropped 41 points. Amare Stoudemire returned to the lineup and score 20 points. LeBron James led Miami with 27 points and Dwyane Wade scored 22 points but missed a game-winning attempt in the final seconds. The Heat can close things out in game 5 back in Miami. 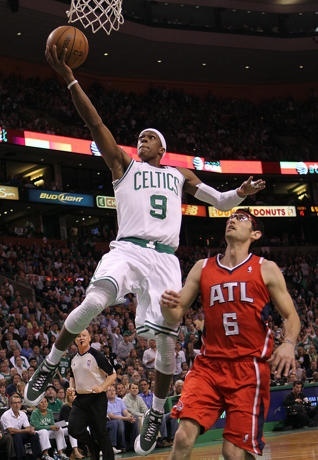 Rajon Rondo followed up his game 3 triple-double performance with a 20 point, 16 assist outing to lead the Celtics to a blowout win over the Hawks in game 4. Celtics captain Paul Pierce scored 24 points before leaving the game with a sore knee. The Celtics will look to close out the Hawks in game 5 back in Atlanta. The Los Angeles Lakers are one win away from setting up a second round matchup with the Oklahoma City Thunder as they defeated the Denver Nuggets 92-88 in game 4. Kobe Bryant scored a team high 22 points, while Andrew Bynum scored 19. The Lakers will look to close the series out back home in LA in game 5.